At Kilmacud Medical Centre Stillorgan, we offer a wide range of services to our patients. Below is a list of some of these. If you wish to book for any of these services please let us know at the time of booking as some of these will take longer than the usual 15 minute appointment slot. Some of these services are covered by V.H.I. and other insurance providers. Family Planning This is an important area for any couple and we are happy to discuss all the various methods with you. 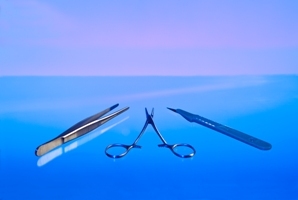 We refer to colleagues outside the practice for vasectomies and Mirena coil insertion. Minor Surgery Many skin lesions can be safely and efficiently removed in General Practice thereby avoiding the delay and inconvenience usually associated with attending hospital. Most of these procedures are covered by VHI and other health insurance companies. Please make a general appointment first with Dr. Brian Meade so we can assess whether or not your lesion is suitable for removal by us. Ambulatory Blood Pressure Monitoring As many as 20% of people thought to have high blood pressure, have normal readings once they leave the doctors surgery. This syndrome is called “white coat hypertension” and is due to the anxiety associated with having your blood pressure taken. Wearing a BP monitor for 24 hours can easily establish the true picture. Ambulatory blood pressure monitoring will also help determine the degree of risk your blood pressure is causing and help decide whether or not you need drug therapy. Cryotherapy Cryotherapy is a well established method of removing a variety of unwanted skin lesions including warts. It involves the use of liquid nitrogen which when applied to certain skin lesions “freezes” them off. Cryotherapy is carried out by our practice nurse. Cervical Smear This a quick and simple test which could detect early cancer of the cervix. Cervical smear tests are now free to women between 25 and 60 under the National Cervical Screening Programme. Please let reception know that your appointment is for a smear test. If you wish a female doctor will be available to carry out the test. Travel Health Advice and Vaccination The centre is a licensed yellow fever vaccination centre and has facilities to provide all your travel vaccination needs as well as providing important advice on avoiding illness while abroad. A special appointment is required for this as these consultations can take a lot of time. Cardiovascular Health Check Up This health check is aimed at those who want to assess their risk of Heart Attack and Stroke. The assessment includes full history, clinical examination, blood tests, ECG and computerised risk assessment. We will then help you to lower your risk of Cardiovascular Disease. Well Man Review Well Man Appointments are for men who wish to get checked for Prostate Cancer or who wish to discuss Erectile Dysfunction, Androgen Deficiency or other male related problems. Pulmonary Function Testing Our practice nurse is trained to perform pulmonary function tests which can be used to diagnose Asthma, Chronic Obstructive Pulmonary Disease and Pulmonaray Fibrosis..
Joint Injections We offer a range of joint injections for those with acute and chronic soft tissue and arthritic problems. Please discuss with one of the Doctors for further details. S.T.I. screening We provide a full range of tests for sexually transmitted infections including Chlamydia, Hepatitis B and HIV. Heartwatch Programme For patients who have suffered a heart attack or who have undergone bypass surgery or an angioplasty we offer regular checkups under the Heartwatch programme. This national programme aims to reduce the risk of further heart disease and will involve four visits per year to our practice nurse.